Rise to your potential with an internship that helps you polish your management style and become a professional leader. Leadership is a skill – it’s not a personality trait someone is born with. You can learn how to become a successful leader by improving your ability to communicate well, make better decisions, manage conflict, motivate others, and build a great team. Leading is about collaborating effectively with others and making them feel confident and safe following you – with their heads and their hearts. Leading teams and organizations can be a challenge, but it’s also a challenge to find the path to becoming a leader. With an international internship, you’ll gain hands-on experience working and engaging with others to achieve collective goals. You’ll become more mature and confident as you take on more responsibilities. But it’s not enough to have the information about how to be a better leader. It’s not enough to be motivated to act. You need both. Expand your horizons and start on your career path through global networking and cultural exchange through an internship with Maximo Nivel. A trusted international organization like this can place you on an internship that lets you work as an advocate for others, contributing to change that improves the community while you gain hands-on experience. Or build your leadership skills and your network with Intern Abroad HQ, a flexible option with multiple start dates available every month and durations that can be as short as two weeks. The short stays are great for introductory experiences. If you’re committed to staying abroad longer, but concerned about adjusting to life in a new country like Spain or Japan, The Intern Group partners with Talkspace to provide all its participants with anonymous access to a licensed online therapist for up to three months. Talking with someone about your worries is great stress relief. 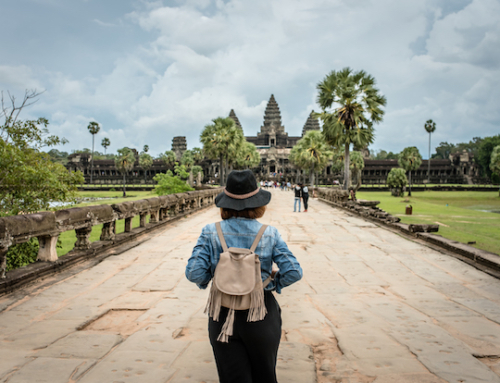 And if you’re interested in combining a trip abroad, and immersing yourself in the culture and commerce of another country, take a look at the opportunities offered by Plan My Gap Year. If you’re already working toward a career, either in business or health care, consider an internship that places you in a developing country with African Impact. The experience of working with people whose lives are greatly influenced by your help can be doubly rewarding. Anyone can develop the skills of leadership, but it requires commitment and practice. Embrace the challenge and take your career as far as it can go by choosing one a leadership development internship abroad.